The Android TV based #Xiaomi #MiBox was expected to land in the U.S. soon, but the company never gave any specific launch details. However, this set-top-box has just been spotted on a shelf in Walmart, suggesting that Xiaomi might have launched the device without a formal announcement. 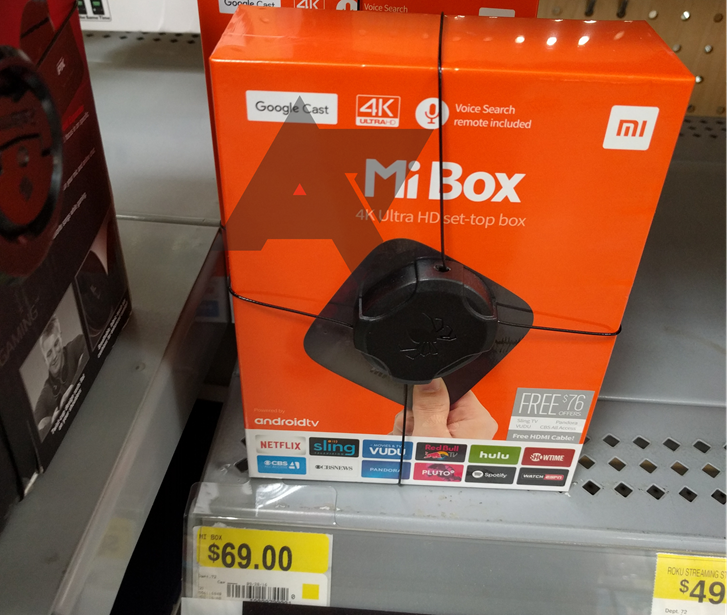 The Mi Box is shown to be carrying a price tag of $69, which is pretty reasonable considering the kind of competition it will be facing in the market. Bear in mind, it is very likely that the Mi Box has been put up by the retailer prematurely, so we suggest you reserve your excitement till the news becomes official. As Android Police suggests, it would probably help if you tried contacting your local Walmart retailer to check if the Mi Box is actually in stock or if all this was just an error. The Mi Box with Android TV was announced by Xiaomi in May, coinciding with the Google I/O event. Although it’s slightly disappointing that it has taken the company this long to bring the device to the country, we’re glad the wait is finally over. Expect this to fly off the shelves pretty quickly once the launch is officially confirmed.